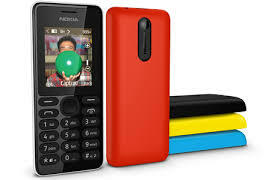 Nokia 108 RM-944 is a MTK Based feature phone form Nokia having CPU MT625A and MT6260. If you need multi language flash file of Nokia 108 we share on this post multi language,s which is Urdu, Arabic, Hindi,Farsi and Pushtu. on this post we share two version of Nokia 108 flash files on one pack if you want to install latest version which is 20.06.11 or want to install old version that is 11.0.11 just unzip on you Nokia Product folder and you don.t need to select file one by one just select RM-944 and file will automatically added on Infinity Nokia best flash box. This phone have MTK based CUP that's why you can only flash this phone with Infinity Nokia best or if you want to unlock or factory reset then you can used other chines flashing tool like Volcano Inferno tool or Miracle box to unlock or factory reset selection MTK platform.